Make your blueberry mascarpone mixture by mixing all the ingredients in a bowl. Make our egg wash mixture by mixing your ingredients in a big enough bowl for dipping. 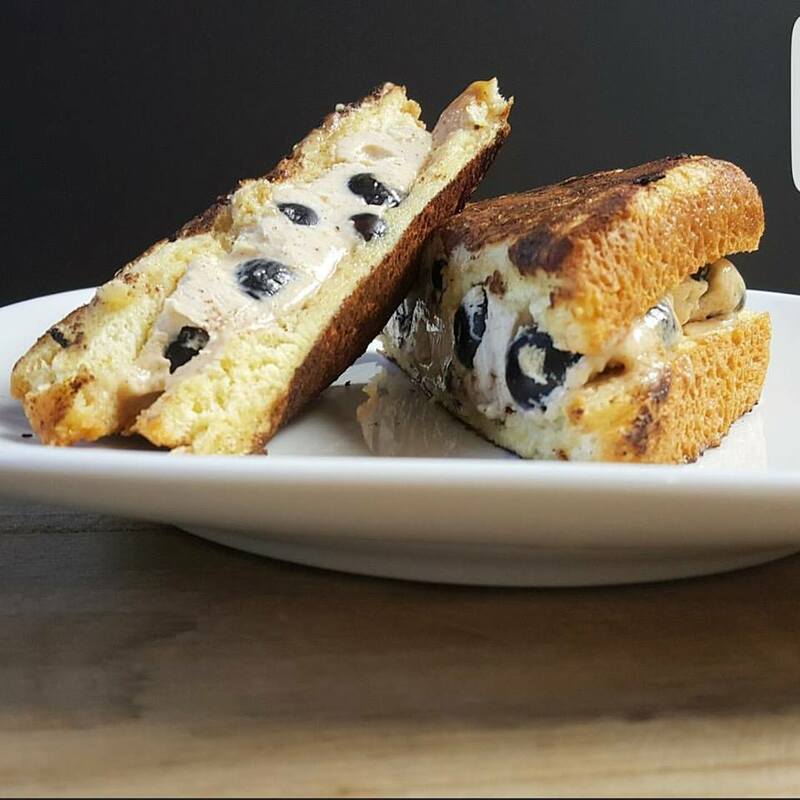 Take two slices of thick cut french toast bread and spread your blueberry mascarpone mixture down the center making a french toast sandwich. Now dip on both sides into your egg mixture. Add your butter to your pre-heated pan to melt over medium-low heat. Place in your stuffed french toast and cook until browned on both sides. Place on your plate and dust with powder sugar and drizzle with some maple syrup. 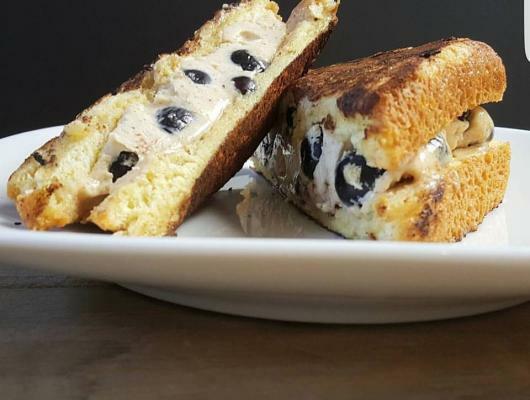 Deliciously sweet french toast stuffed with creamy mascarpone cheese and whole blueberries, lightly dusted w/ powdered sugar, & drizzled with maple syrup!